Feb. 1 – This is the first episode of Freshman Focus, a Medill Reports audio series highlighting the newcomers to the Northwestern University baseball team. In this kick-off profile, meet freshman catcher Michael Trautwein, a legacy player for the Wildcats. Northwestern catcher Michael Trautwein stands between pitches in a game vs. University of California, Berkeley. 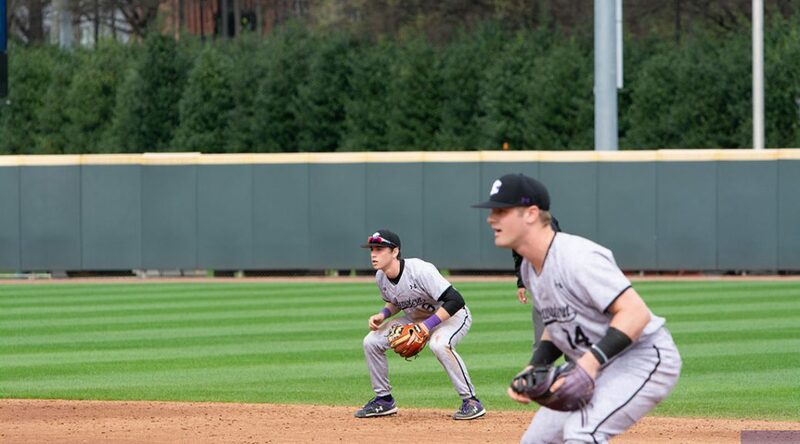 Though Trautwein’s father attended and played for the university in the early ‘80s, Michael plans to establish his own footsteps and hopes to etch a legacy that makes his name synonymous with Northwestern baseball. Wildcats’ assistant coach Dusty Napoleon – who works primarily with the catchers – chimes in about the team’s expectations for Michael and more.